National Golf Club's 25-meter swimming pool is the perfect spot for a personal workout or family fun. It is a great place to just hang out and relax or to socialize with your friends. The children's wading pool is a fun and safe place for our youngest Members under the watchful eyes of their adult guardians. Certified lifeguards are on duty during all pool hours to supervise both children and adult swimmers. Full poolside food and beverage service is offered during pool hours. 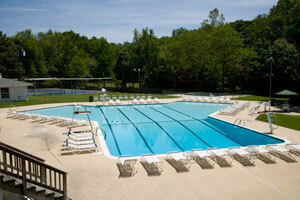 The pool is open daily from Memorial Day through Labor Day. 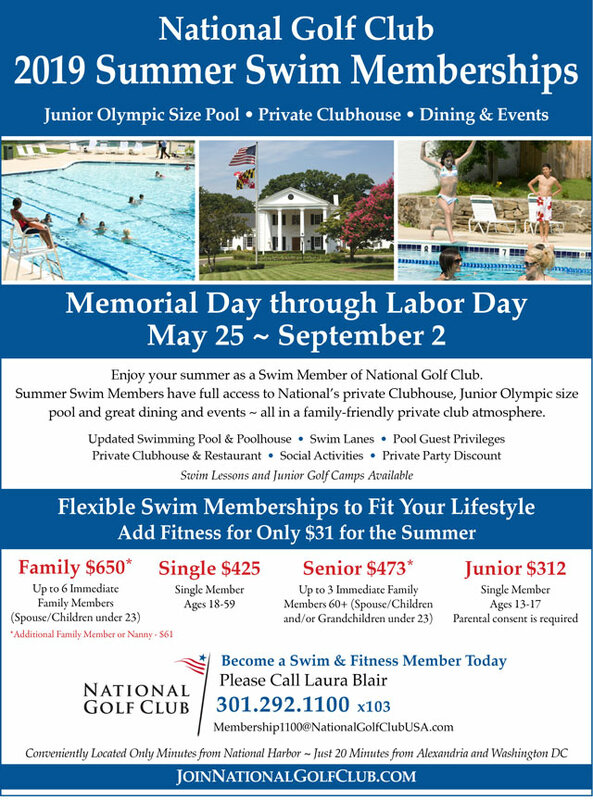 National Golf Club offers a variety of affordable Summer Swim Memberships Memorial Day weekend through Labor Day.